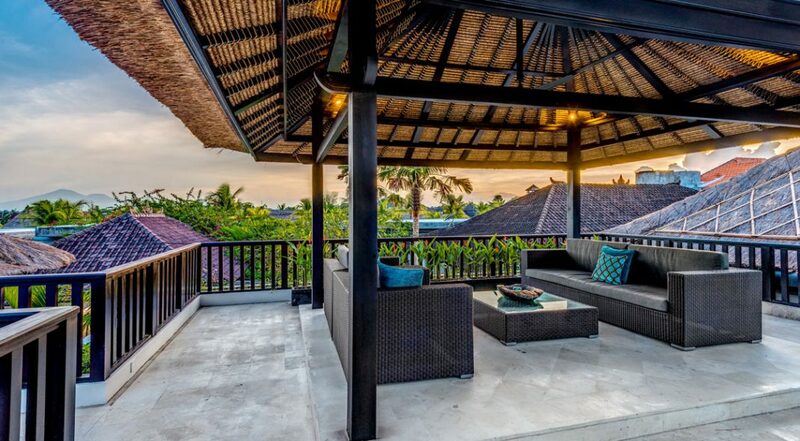 From $ 458 $ 413AUD per night We have direct contracts with most villa owners. We don't add any booking fees. We are 100% transparent with no nasty surprises. 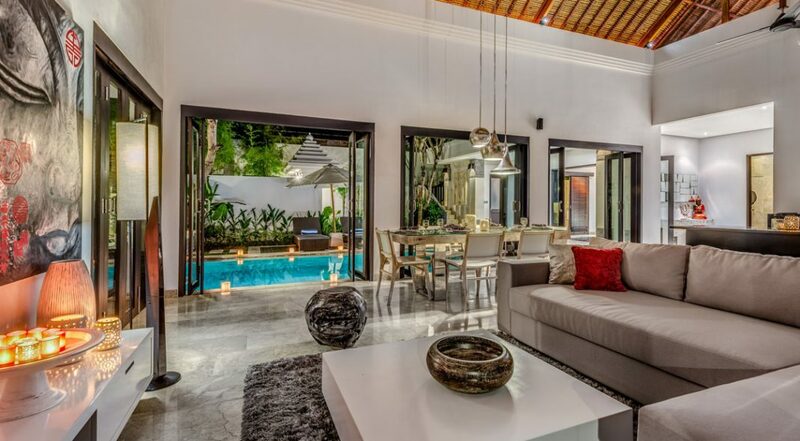 Villa Jepun is a 3 bedroom Seminyak holiday villa rental with chic furnishings, modern amenities and all the security and services of staying in a private villa estate. 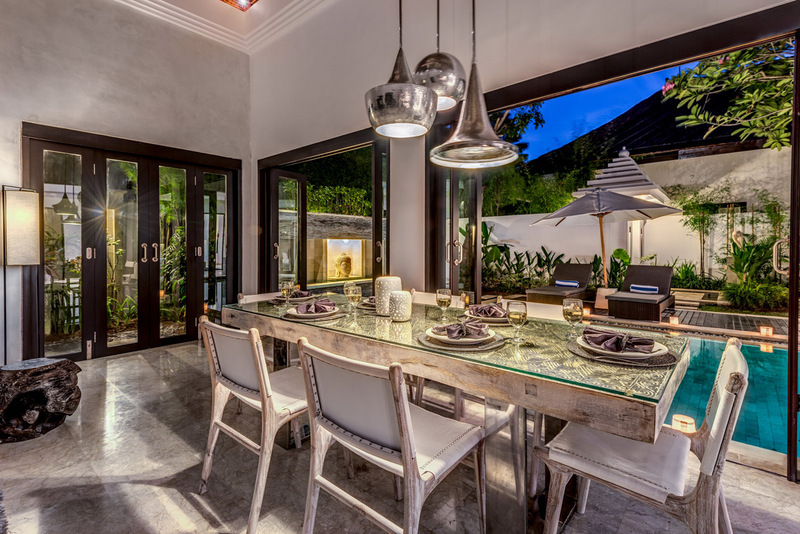 The villas fabulous central location puts all the best restaurants, cafes, bars, boutiques and night spots right on your doorstep. 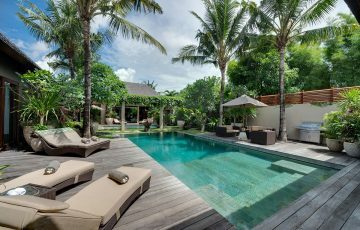 The boutique private complex in the heart of Seminyak ensures exceptional service from the team of professionally trained staff. 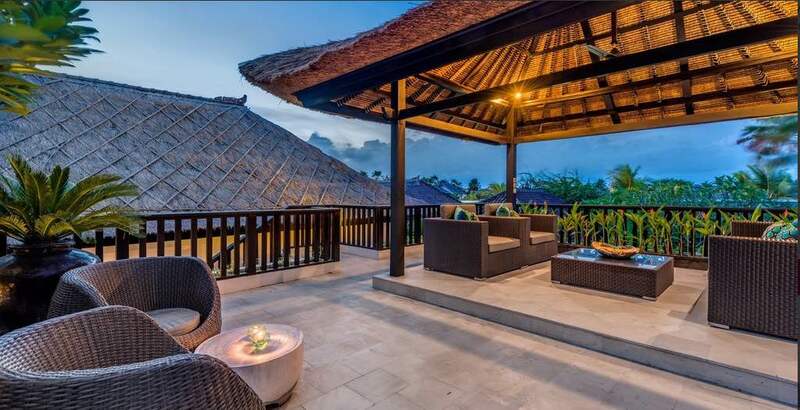 Ideal for a family or group of friends, you are guaranteed to have a very memorable and relaxing holiday at Villa Jepun. 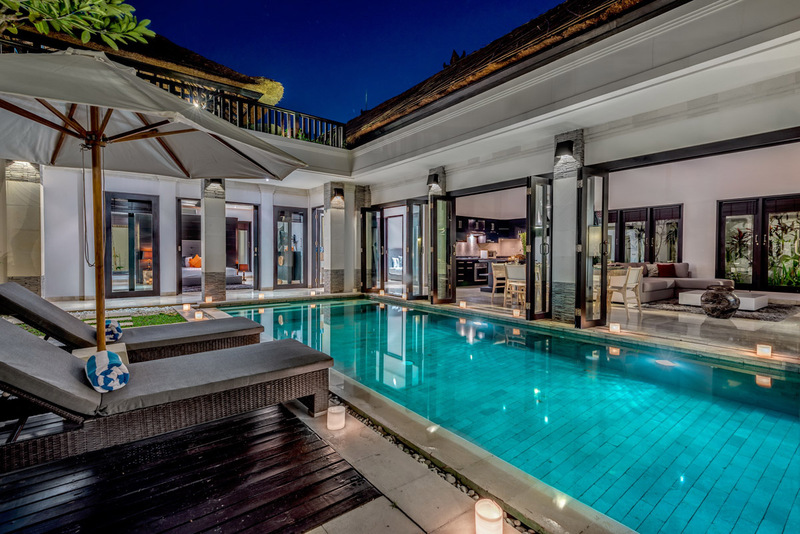 The outdoor setting is ideal for friends and family to enjoy each others company around the pool. 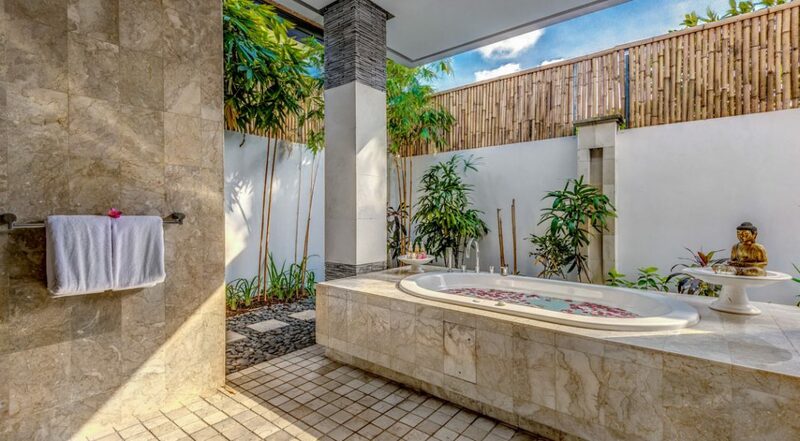 Natural river stone, the calming buddha, tropical greenery and frangipani trees create an authentic Balinese vibe. 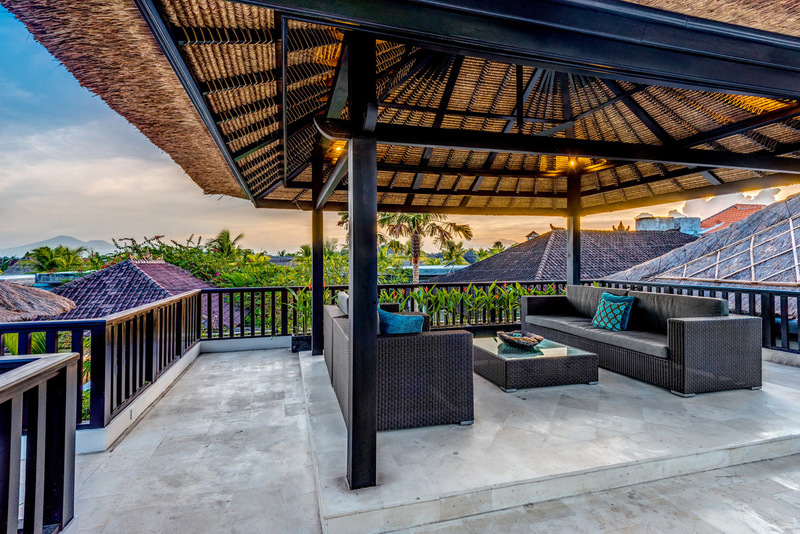 Sit back on the sun lounges under the shade of the parasol and completely unwind in this Balinese paradise. 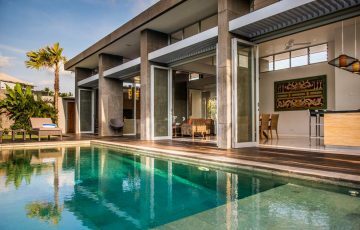 The living area has large bi-folding doors opening directly onto the pool and houses the kitchen, dining and lounge area. 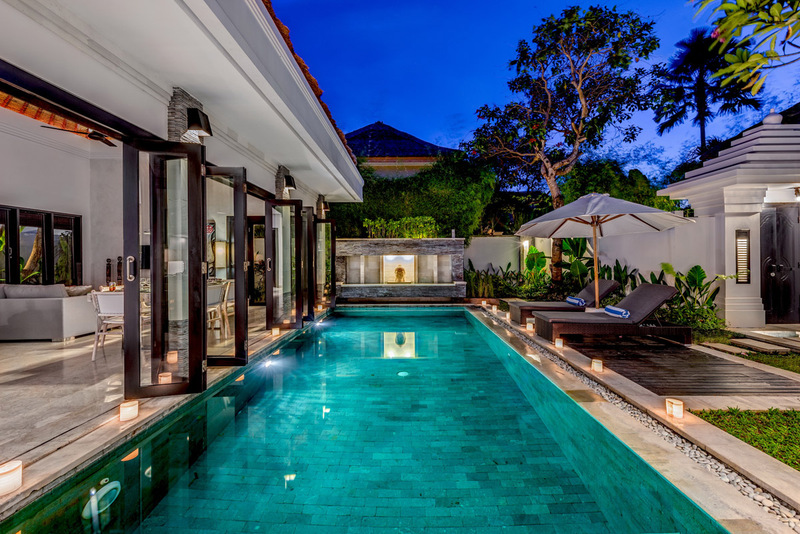 Open the doors onto the pool for more incredible tropical ambiance or relax in the comfort of air-conditioning. 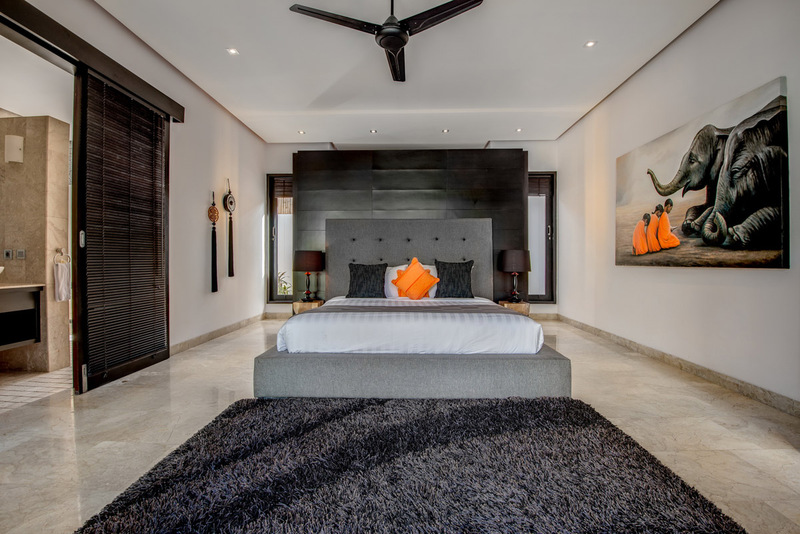 The furnishings are modern and chic with emphasis on comfort and functionality. 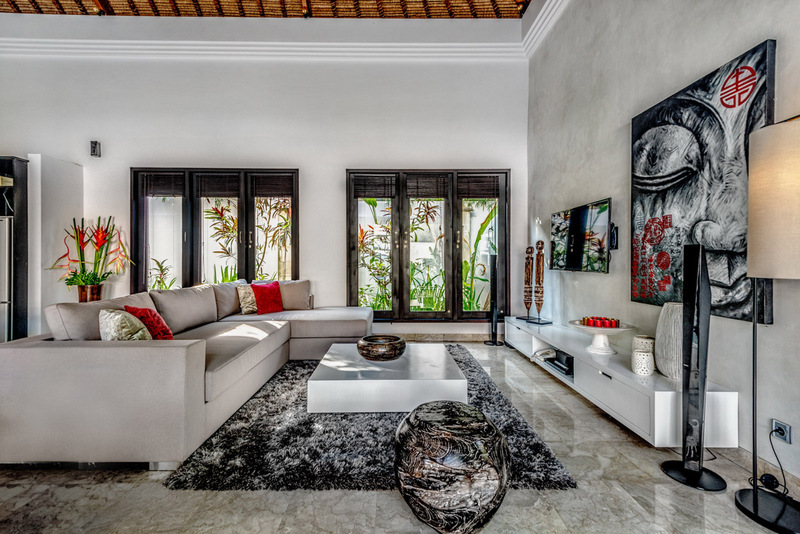 The sofa offers plenty of space for everyone to enjoy some TV time, the dining table seats 6 and the kitchen has every appliance you will need. 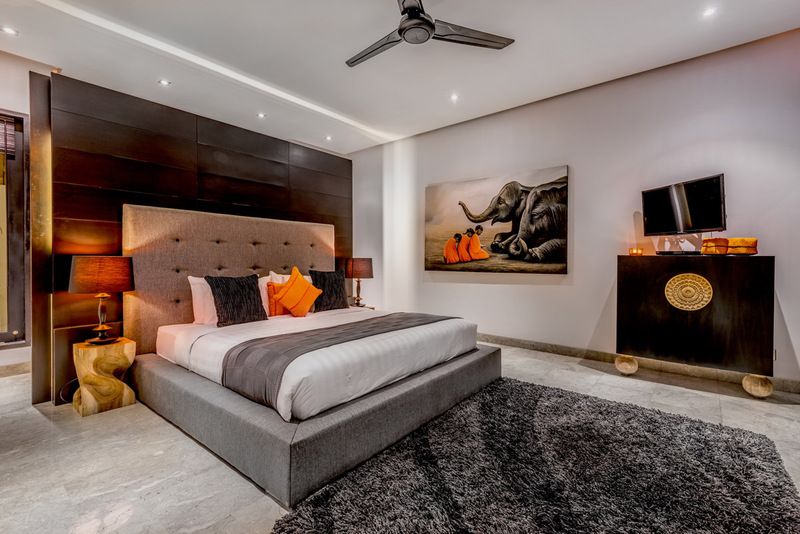 Guests of the master suite will enjoy the luxury of a king size bed, private en-suite and a patio area opening onto the swimming pool. 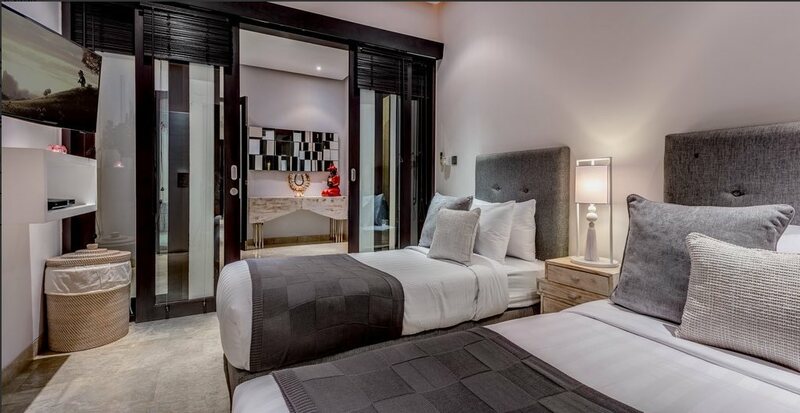 Another guest suite features a queen size bed and twin beds in the third room which can be converted to a king, these rooms have a shared en-suite. 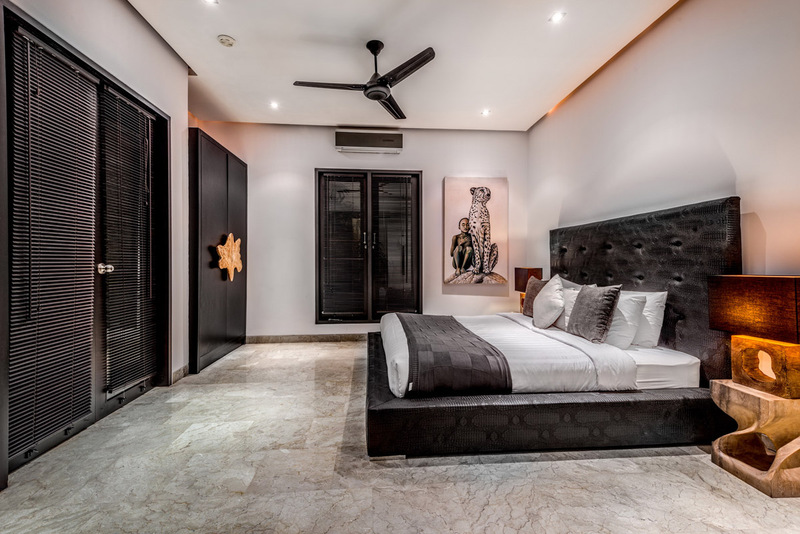 The rooms are modern with beautiful marble floors, flat-screens and the option of ceiling fans or AC. 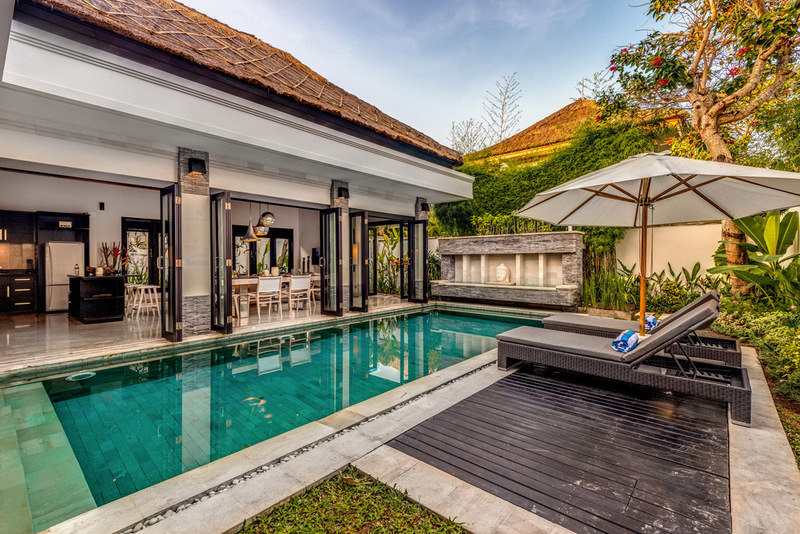 The villa is fully serviced by professionally trained Balinese staff; they will serve your daily breakfast and clean the villa each day at your convenience. 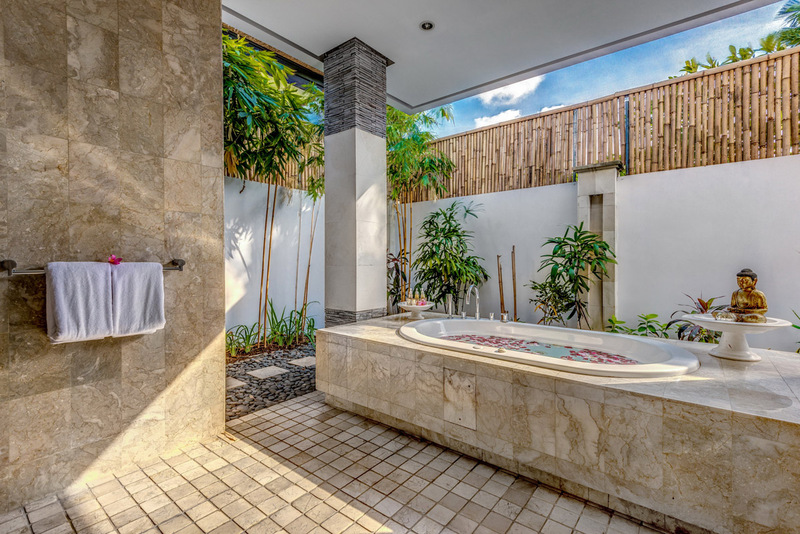 Don’t hesitate to ask the staff for any additional assistance, they will happily attend to your every need. 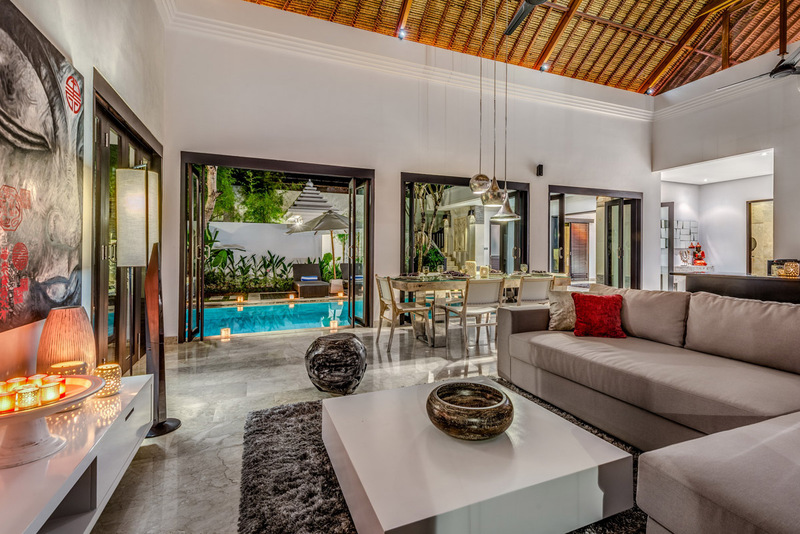 The villa is in the perfect Seminyak location so you can easily explore a huge array of nearby cafes, restaurants, yoga studios, gyms, shops, bars and beach clubs. 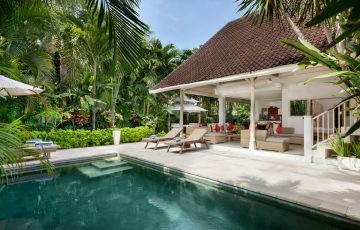 Some great places to enjoy near the villa include Happy Chappy’s if your in the mood for some great Chinese food, Ultimo an Italian cuisine inspired icon, Red Carpet for a few evening drinks, Ku de ta Beach Club or Potato Head for sunset cocktails with fine dining and Revolver Cafe for a great coffee experience. 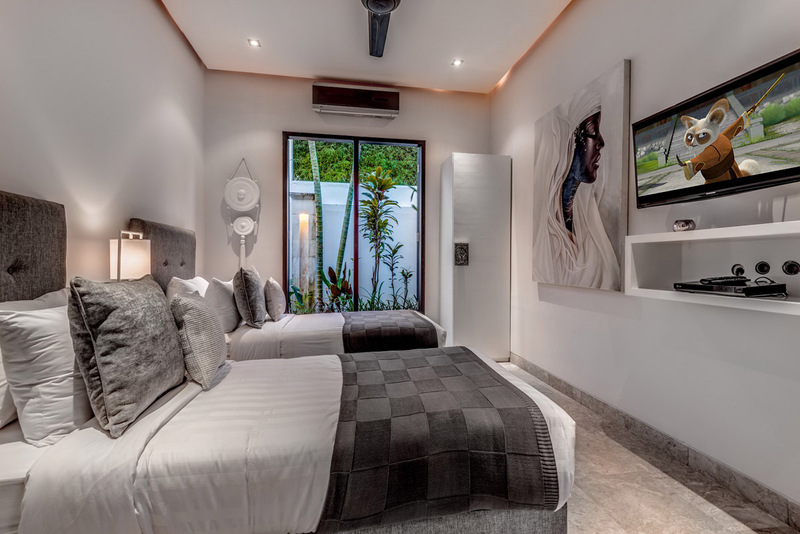 If your staying at Jepun you are basically in the centre of Seminyak’s exciting nightlife, entertainment and restaurants. 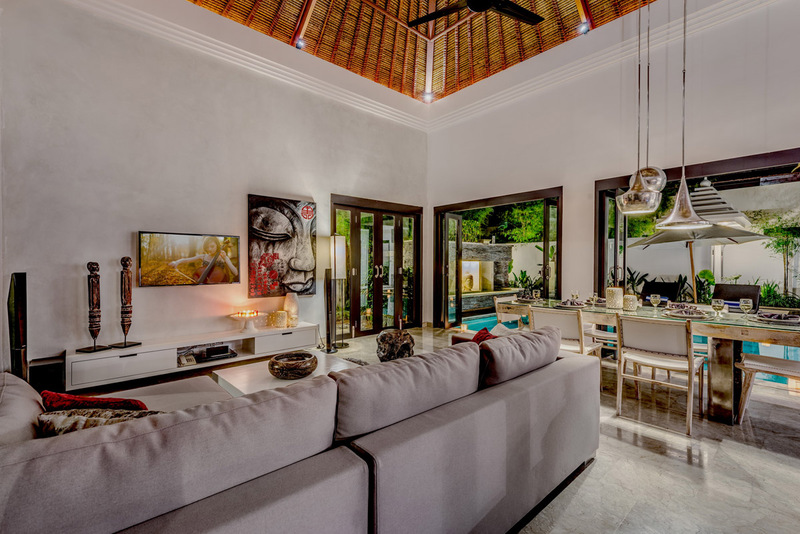 If you love your food, going out to restaurants, the beach, sitting in fabulous cafes, lots of shopping & going to day spas then this is the ideal villa. 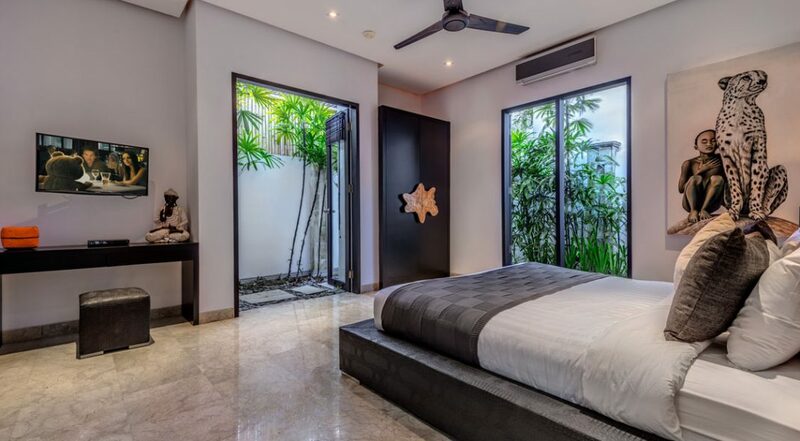 To see other 3 bedroom Bali villas or view our full range of Seminyak villas near Eat Street please browse this website or contact our reservation team. 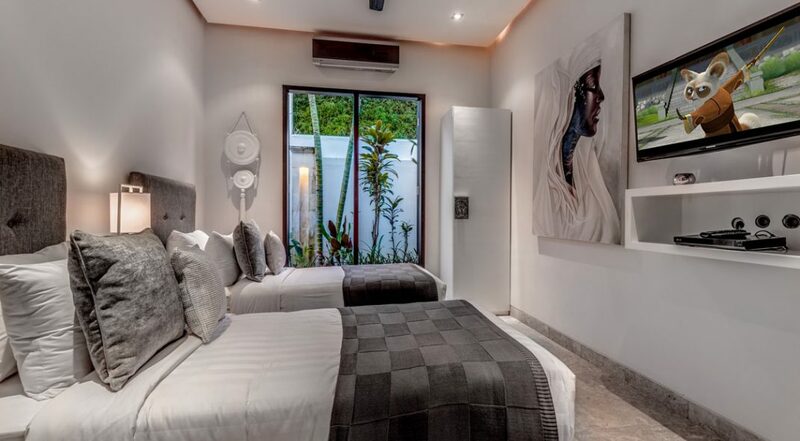 This is a popular Seminyak villa so please book Villa Jepun well in advance, especially if your planning a trip to Bali during the Australian school or public holidays. 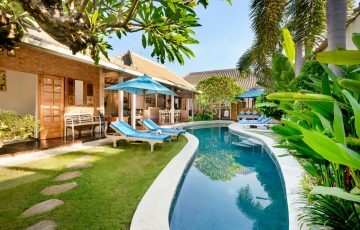 We spent 8 days here with our family and the reason we picked this villa was the price, location and the pics looked amazing. 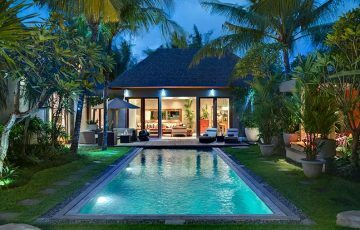 All we can say is how fantastic the villa was and the kids had the best holiday time playing in the pool. Also, we discovered shops and restaurants were only moments away which was really handy. We especially liked the wonderful breakfasts cooked for us daily by Putu and Wayan. 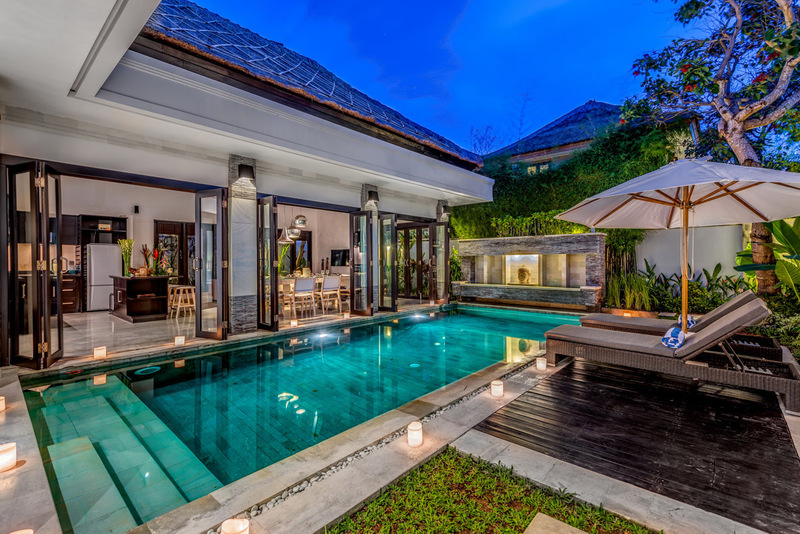 This villa is without doubt one of the best we have stayed in Seminyak. 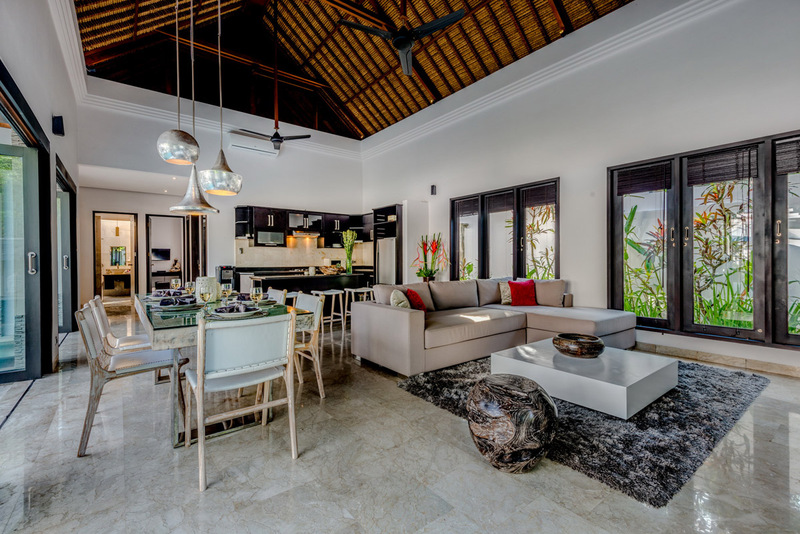 We highly recommend Jepun to any family wanting to experience luxurious holiday villa living in a central location. 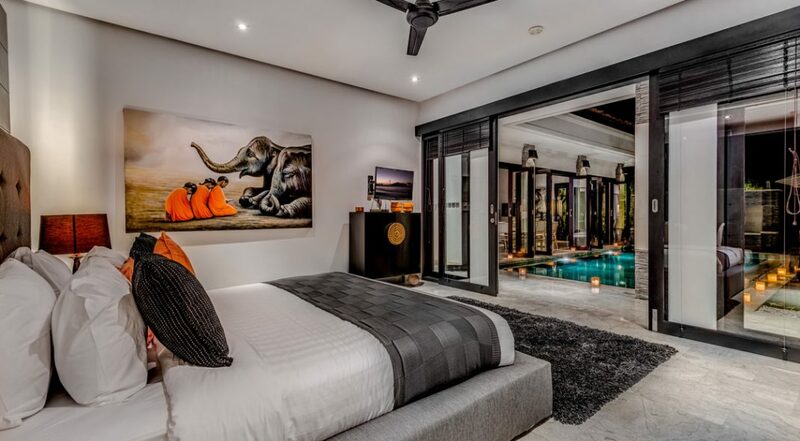 We came here for a girls week and the villa was everything we imagined it would be; lovely, clean, spacious rooms, all air conditioned with beautiful bathrooms. 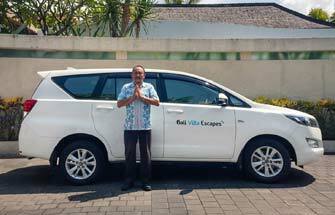 Seminyak Village and Ku De Ta as well as 'Eat St' were moments away which was what we wanted - so it really ticks all the right boxes for a holiday in Bali. 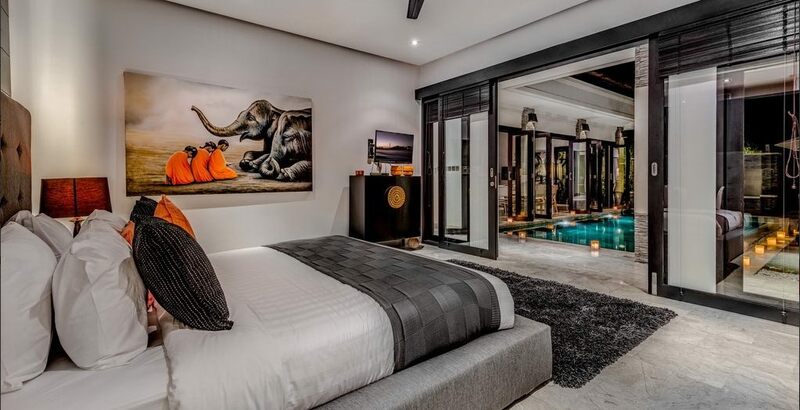 Cannot rave about this villa enough. It's absolutely lovely in a wonderful location. 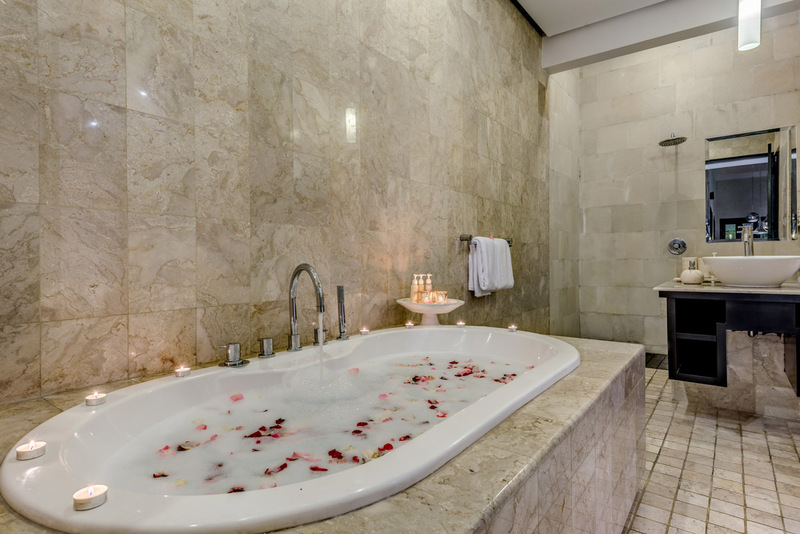 The rooms were also sensational and we especially loved those en suite bathrooms. This was a great pick and we will be coming back here again. 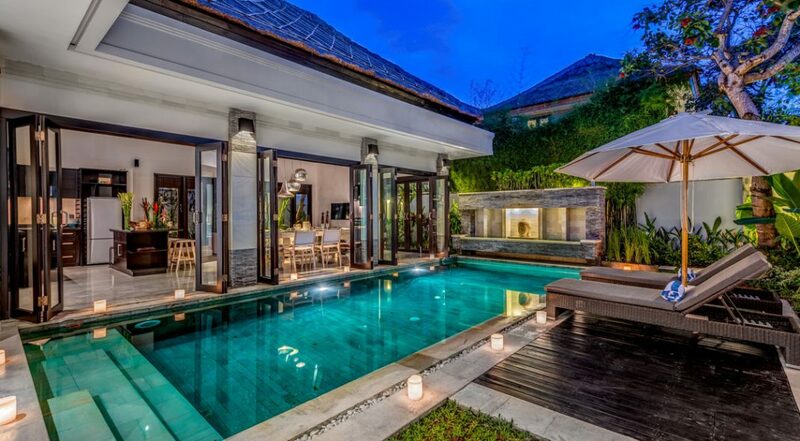 What a terrific villa. 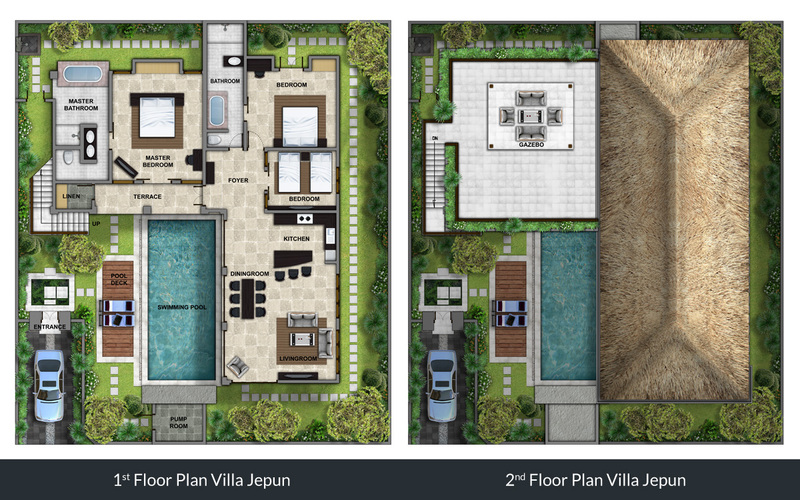 We have stayed in quite a few villas on previous trips to Bali but I must say that Villa Jepun is top of the list. 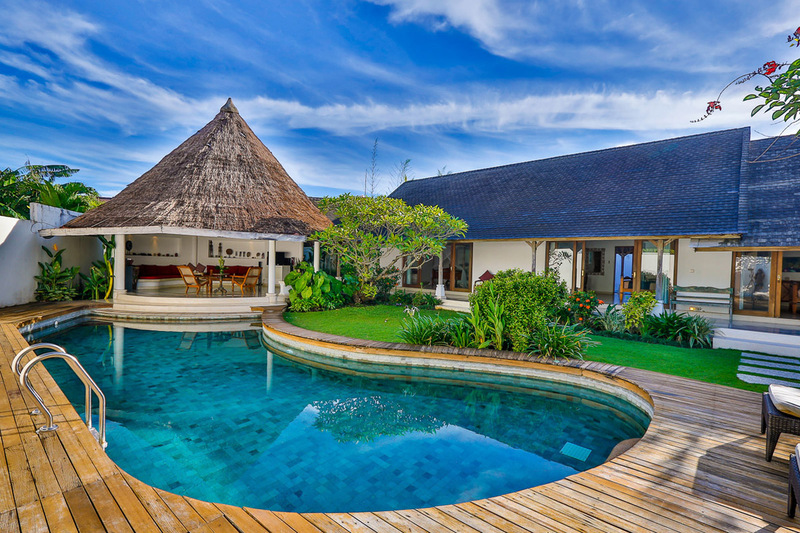 Amazing location, friendly staff and a relaxed ambiance. Definitely coming back. Arthur H - San Fran. Top location and great for exploring the area. Lots of shopping and restaurants just around the corner. Friendly staff as well! Amazing location, wonderful facilities fun times. We sill be back.